Deana Lawson, Cascade, 2019. Inkjet print, mounted on Dibond, 61 3/4 x 50 inches, print. Deana Lawson, Communion, 2017. Inkjet print, mounted on Sintra, 43 x 54 inches, print. Deana Lawson, Dance Hall Concert, 2019. Inkjet print, mounted on Sintra, 43 x 54 inches, print. Deana Lawson, The Beginning, 2008, Inkjet print, mounted on Sintra, 30 x 42.25 inches, print. Joanette, Canarsie, Brooklyn, 2013, Inkjet print, mounted on Sintra, 42.5 x 34.875 inches, print, 44 x 35 inches, framed, Edition 2 of 3, with 2 APs. Trap Car, 2016, Inkjet print, mounted on Sintra, 35 x 45 inches, print, 36 x 46 inches, framed, Edition 1 of 4, with 2. Walking Home on Some Road, Gemena, DR Congo, 2015, Inkjet print, mounted on sintra, 35 x 44 inches, print, 36 x 45 inches, framed, Edition 1 of 3, with 2 APs. Congregation, Port-au-Prince, Haiti, 2012, Inkjet print, mounted on Sintra, 35 x 44 inches, print, 36.25 x 45 inches, framed, Edition 1 of 3, with 2 APs. Binky & Tony Forever, 2009, Pigmented inkjet print, 37 x 43.25 inches, print, 38 x 44.25 inches, framed, Edition 6 of 6. Wanda and Daughters, 2009, Inkjet print, mounted on Sintra, 35 x 44.25 inches, print, 36 x 45.25 inches, framed, Edition 5 of 6. Jouvert, Flatbush, Brooklyn, 2013, Inkjet print, mounted on Sintra, 40 x 50 inches, print, 41 x 51 inches, framed, Edition 1 of 3, with 2 APs. Kings, 2016, Pigment print, 50 x 78 inches, Edition 4 of 4. Roxie and Raquel, New Orleans, Louisiana, 2010, Inkjet print, mounted on Sintra, 35 x 43 inches, print, 36 x 44 inches, framed, Edition 6 of 6, with 2 APs. Deana Lawson (b. 1979 Rochester, NY) is a photo-based artist whose work examines the body’s ability to channel personal and social histories, addressing themes of familial legacy, community, romance, and spiritual aesthetics. Her practice borrows from simultaneous visual traditions, ranging from photographic and figurative portraiture, social documentary aesthetics, and vernacular family album photographs. Lawson is visually inspired by the materiality of black culture and its expression as seen through the body and in domestic environments. Careful attention is given to lighting and pose, both formal constructs used to transform and intensify representations of power and liberation through the personal and intimate space. Lawson received her M.F.A. in Photography from RISD in 2004. Her work has been exhibited at the Brooklyn Museum of Art, Institute of Contemporary Art in Philadelphia, New Photography 2011 at Museum of Modern Art, Greater New York at P.S.1 Contemporary Art Center in New York, Helene Bailly Gallery in Paris, Studio Museum in Harlem, KIT Museum in Dusseldorf Germany, Artists Space in New York, Print Center in Philadelphia, and Spelman College Museum of Fine Art in Atlanta. Lawson is the recipient of the Art Matters Grant, John Gutmann Photography Fellowship, Rema Hort Mann Foundation Grant, Aaron Siskind Fellowship Grant, and a NYFA Grant in 2006. In 2013, Lawson was awarded a Guggenheim Fellowship, which allowed her to expand her locations of work to include Jamaica, Haiti, and West Africa. 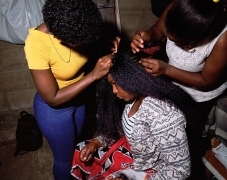 Review of Deana Lawson at Sikkema Jenkins. 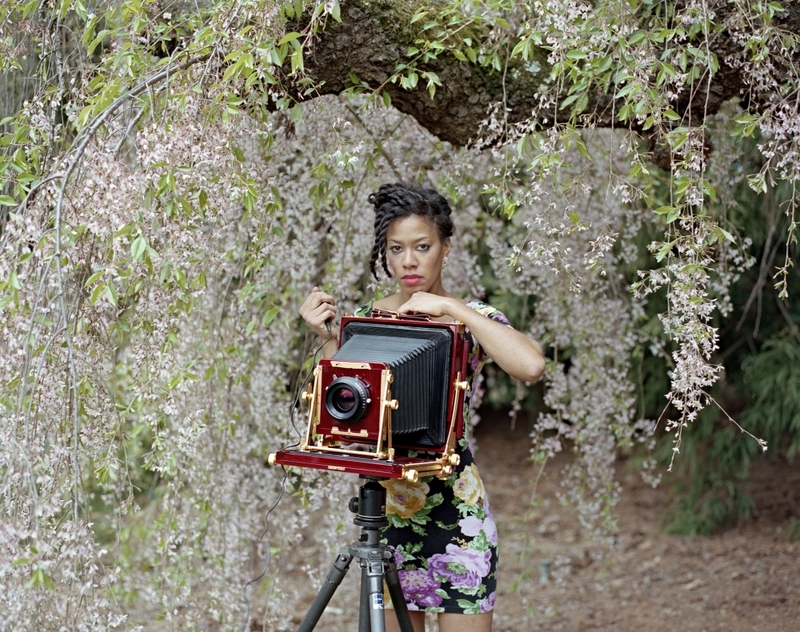 Arthur Lubow profiles Deana Lawson in The New York Times. Profile of Deana Lawson by Zadie Smith.